Dig Down in Time brings together the work of seven artists for whom the use of the archive is central. The articles that constitute an archive  the documents, photographs, recorded testimonies or material proof  form the basis of the works within this exhibition. Whilst some of the artists within Dig Down in Time use the contents of an archive as a starting point from which new works are created, others use them directly to reveal untold narratives or raise further enquiries. The materials used by the artists in the exhibition are varied, drawing from archives that are personal, official and fictional. The title of the exhibition, a direct translation from the Norwegian phrase grav deg I tide, refers to the mountains of Norway where, as a snowstorm approaches, it is safer to dig down into the snow than to be engulfed by the full force of the storm. As WikiLeaks founder Julian Assange explained in an interview on the day that Wikileaks released classified Afghanistan War Logs online, the phrase also refers to investigative journalism and the need to dig down deep into the archives to understand. 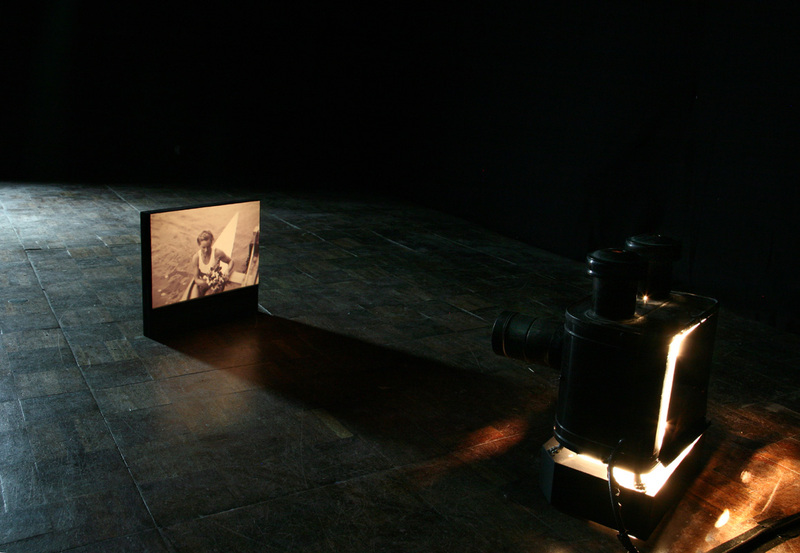 Susan Hillers work has often centred around ideas of remembrance, bringing into focus forgotten elements of popular culture. In her 1972-76 series Dedicated to Unknown Artists and subsequent Addenda to this body of work (1976-), Hiller emphasised the crucial roles of the unknown artists who touched and tinted the Rough Sea picture postcards from English seaside resorts. Similarly, the works of Isha Bøhling revolve around remembrance and untold narratives. The sound installation Moonlight draws on family history to evoke both the historic and individual sense of loss that accompanies an Olympic Competition. Like Hiller, Bøhlings practice is excavational, recovering past resonances whilst searching for structures, histories and underlying patterns. Other artists within the exhibition explore ideas related to the assumed authority of the archive and document as evidence. Susan MacWilliam works extensively with archives and direct first hand contact with research bodies and figures significant to the narratives. Through works such as Some Ghosts, a film study of the Danish American poltergeist investigator Dr. William G. Roll, MacWilliam provides a historical visual record and interpretation of particular cases within the history of parapsychology and psychical research. In contrast Eames Demetrios' parallel world Kcymaerxthaere has its own histories, peoples and physical laws. Demetrios, as chief explorer of this world is both archaeologist and performer, unearthing artifacts and alternate histories which are then recounted. The idea of artist as explorer is also central to the work of Pippa Gatty whose work draws from an archive of imagery redolent of the visual reportage of the National Geographic in its heyday. Through film installation and painting, Gatty explores factual and imagined stories of discovery and exploration. The work of Jorge De La Garza, is more metaphysical in its approach. Through a series of concordances and juxtapositions, De La Garza appropriates images found in second-hand books, creating new unresolved images that explore the fundamental nature of being and the world. The digging for truth, through the excavation of the archive does not always provide clear answers. To discover more, we must dig down further. There we discover the contents of the archive, classified and catalogued, and also (as Michel Foucault explored in The Historical a priori and the Archive), the set of relations and the system that enable it to exist from the outset. In her series of weavings La Vierge Reconsidered, formed from the printed pages of books, Larissa Nowicki draws our attention to similarities that arise between systems that at first appear to be entirely different, raising our awareness of the act of seeing and processing of information. Within the archive, knowledge can be both preserved and buried. The selected artists within Dig Down in Time interrogate the archive, making physically present that which has been forgotten or displaced, transforming its contents to form new narratives. 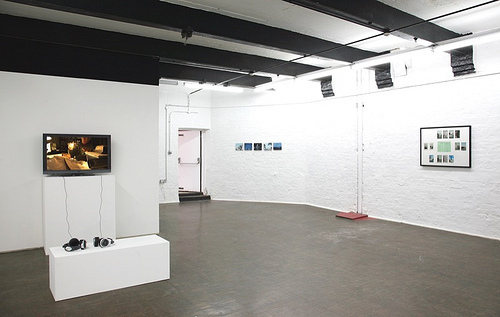 MurmurArt Dialogue  Two reviews of 'Dig Down in Time' by Ausra Linkeviciute and Olivia Nairn. Click here to read. Click here to read full reviews. Join Geographer-At-Large Eames Demetrios at the Man&Eve Project Space, as he shares stories from his global-project Kcymaerxthaere.